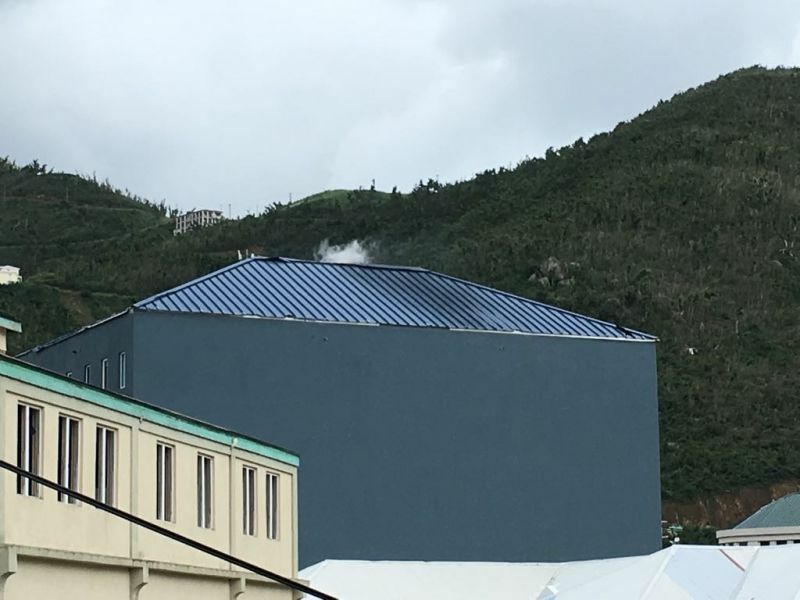 ROAD TOWN, Tortola, VI- The fire that started at the RJT Edifice in Road Town, on the main island of Tortola, this morning, December 5, 2017, has been extinguished and the blaze did not catch on to the building itself, according to Chief Fire Officer, Zebalon A. McLean. The Fire Chief also confirmed to this news site that the incident was a result of a generator catching on fire. 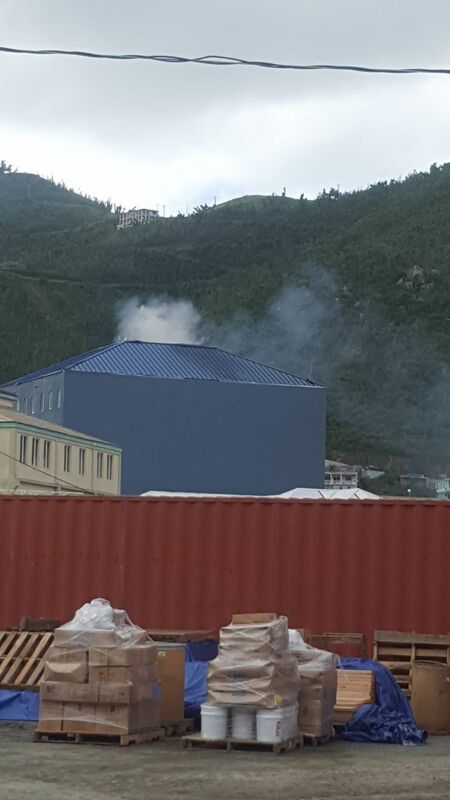 “The generator that was housed on top of the RJT Edifice had fought on fire…It was not running. The technicians turned it on and when they turned it on it ignited,” Mr McLean related to this news site. No one was injured and fire officers were quickly on the scene to put out the blaze. “Because they are so close and the officers got there quickly, and literally ran up to the generator, they were able to extinguish it using two dry chemical extinguishers,” Mr McLean added. 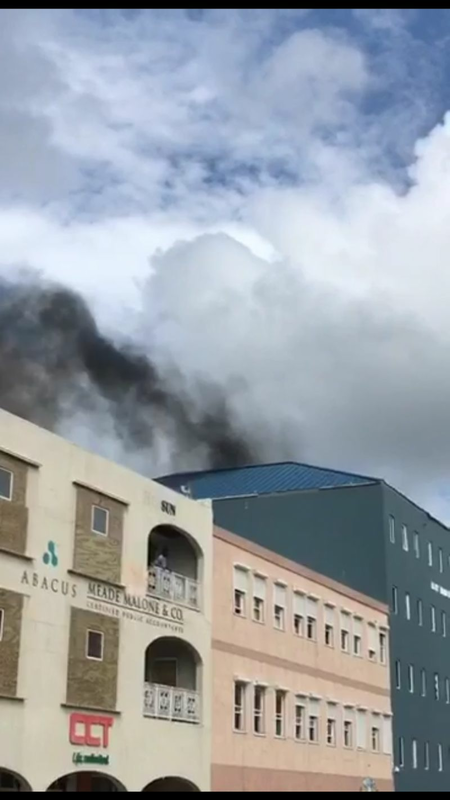 A fire has started in the RJT Edifice, which houses Immigration Department and Government Information Services (GIS), among other offices, in Road Town, on the main island of Tortola. According to reports reaching this news site, the fire started sometime after 10:00 A.M. today, December 5, 2017. 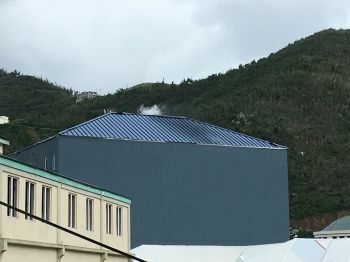 The building, which is also temporarily housing staff of the BVI Tourist Board (BVITB), has been evacuated and Virgin Islands Fire and Rescue Services officers are on the scene. Unconfirmed reports are that the fire started in the top floor of the building, in the area where a generator is stored. run for your life people its just a practice for the earthquake to come. Smarty Pat, you do not run during an earthquake. Didn't know that? Lol Pat i sorry for u when u have a real case no one going believe u.
look island people running out of immigration the first time I saw that lol. Are you from an island as well? Time for desalination plant power by nukes!